Most people are not aware of the fact that heart attacks and cardiac arrests are two different things and these words are very commonly interchanged. So, what is the difference? A heart attack is one that occurs when there is blockage of blood flow to the heart while a cardiac arrest is an unexpected malfunctioning of the heart where it suddenly stops beating. These are conditions that occur due to circulatory malfunction. When an artery gets blocked, it prevents the flow of oxygenated blood to a section of the heart. When blood flow to a particular part stops, that section of the heart lacks nutrition and gradually begins to die. The sooner the artery is unblocked lesser the damage. The loss of blood supply normally occurs when the coronary artery, the one that provides blood to the heart muscle gets blocked. 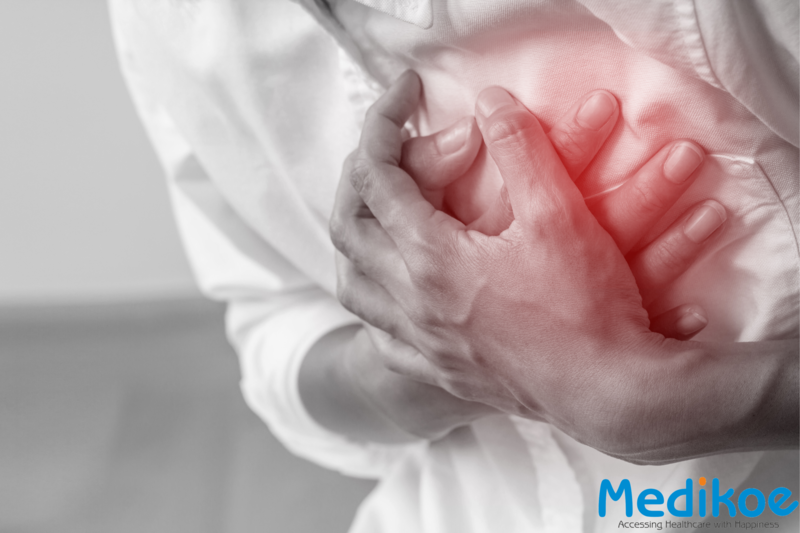 The lack of blood flow causes the death of a part of the heart muscle which results in chest pain and electrical fluctuations, leading to a heart attack. A cardiac arrest is basically an electrical malfunction of the heart that is most often very sudden and has no warning or symptoms. Arrhythmia or an irregular heartbeat occurs due to malfunction which disrupts the heart’s pumping action. This means there is no pumping towards the brain, lungs and other vital organs which results in the person collapsing almost instantly. If the person does not receive medical aid, they die within minutes because they have no pulse. Since it is sudden, there might not be any warning signs. The person suddenly collapses, loses consciousness and has no pulse or breathing. Sometimes there may be symptoms like discomfort in the chest area, shortness of breath and palpitations. Is there a link between heart attacks and cardiac arrests? Heart attacks increase the risk of cardiac arrests and arrests can occur after an attack or during recovery from a heart attack. Heart attacks don’t usually lead to cardiac arrests but, sudden arrests are usually due to heart attacks and other heart conditions like ventricular fibrillation, cardiomyopathy, arrhythmias etc. It’s a question of survival and you must call for medical help immediately if you think someone is showing signs and symptoms of a heart attack. The quicker one gets medical help, higher are the chances of survival. Immediate treatment and medications help reduce the damage caused on the heart and help open up blocked blood vessels or arteries. To avoid increased damage and to better chances of survival, call for emergency help, you could save a life. Medikoe offers 24/7 emergency care to help patients and families in need of immediate medical attention with the help of ambulance and doctor services. The best thing to do is maintain a healthy lifestyle, have a regular diet and exercise routine to prevent heart diseases.